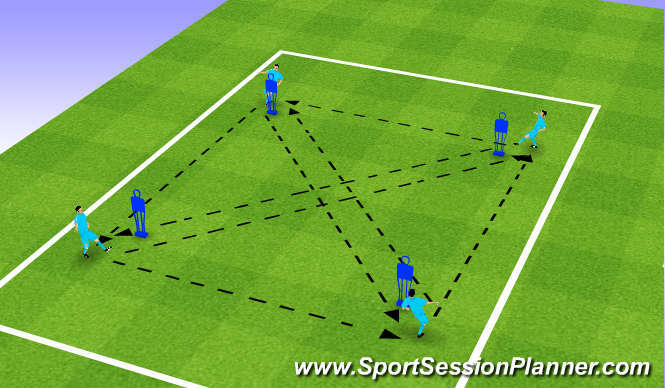 Player with the ball moving fast tricks and turns on coaches shout coulour player plasses to colour who passes back one touch all playerson the move change position 10x10 then 20x10. Pass and follow around maniquins. Recieve on the back foot. Starting on manequins. Pull off check shoulders. Go around right, then left. 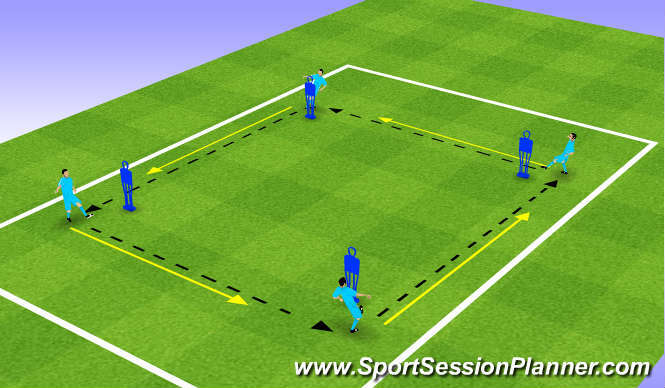 Pass and set around manequins diagonal and set. Progress to a 7v7 game. Can what has been practiced be seen. Recieve on the back foot. Weight of pass,1st touch. Vision, use both feet. Support 1-2s. Sets.Disguise of pass. ABC, endurance. Short sharp movement. Players improved as session went on repetitive passing and set. improved and players were doing this in the 7v7 game.